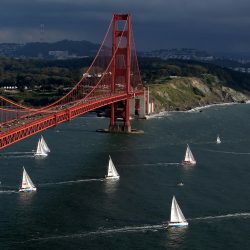 When is the best sailing on the San Francisco Bay? 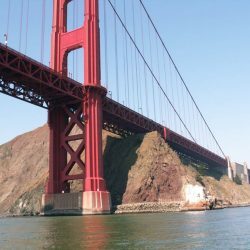 We sail San Francisco Bay all year round. 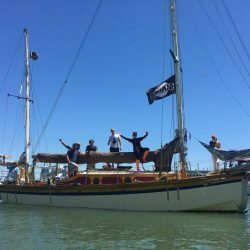 There is a lot more consistent wind in the summer months, meaning it may be wise to schedule your trip early in the day, as it can be quite strong in the late afternoon. 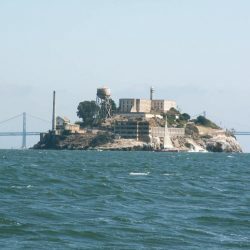 What should I wear to sail on the San Francisco Bay? Weather conditions change constantly, so for your comfort, we recommend layered clothing, a warm jacket, and rubber soled shoes. Layers are a must, synthetic fabrics are preferred. Nothing is as cold and miserable as wet jeans. A good windbreaker is your friend on the Bay. 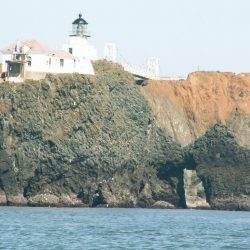 Sunscreen, sunglasses, a hat, and your camera are also advisable. 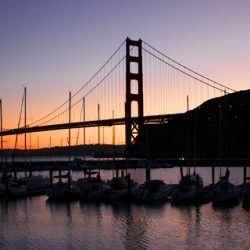 Can we be picked up somewhere other than Sausalito? 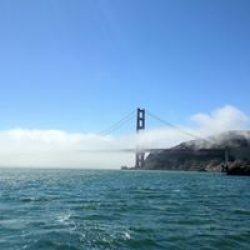 We can arrange pickups at different locations around the bay at extra cost. We have to account for our travel time. We can discuss the details, but generally, the additional charge is $150. Can we bring our own food or drink? What if it is too foggy/rainy? Do your prices include food/drinks? We offer all our guests snacks such as chips and hummus,grapes, dolmas, feta cheese and nuts. Two complimentary beverages are included as part of our standard sailing package. Any special requests can be discussed! Pricing available at time of reservation. Are children or pets allowed on the charter? Cancellations and weather: A fifty percent deposit is required at the time of booking and is not refundable if the client cancels with less than 72-hour notice. If a charter must be cancelled due to weather conditions, the deposit will be refunded minus a 25% preparation fee, or the trip may be rescheduled. What do people enjoy most on your charters? The attentive service they receive on their private yacht charter.